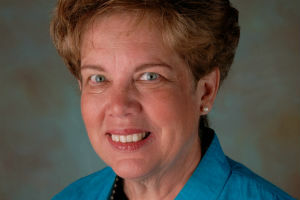 Catholic Charities USA (CCUSA), based in Alexandria, Va., has appointed Sister Donna Markham, Ph.D., as its first female president in the organization’s 105-year history. She succeeds Rev. Larry Snyder and takes office on June 1. CCUSA is one of the largest charities in the U.S., with $4.3 billion in 2013 total revenue, according to financial documents. It ranked number three on the 2014 NPT Top 100 published in November. Sr. Markham previously served on CCUSA’s board, including as chair for two years. She was also president of the Southdown Institute in Ontario and was Prioress of the Adrian Dominican Congregation in Adrian, Mich., prior to her tenure at Mercy Health. Sister Markham is a Fellow in the American Association of Clinical Psychologists, is board-certified, and won the Harold S. Bernard Training Award from the American Group Psychotherapy Association in February 2014. Rev. Snyder has served as CCUSA’s president since 2005. He announced his intention to retire this past July. He will become vice president for mission at the University of St. Thomas in the Twin Cities area of Minnesota starting in February. Rev. Snyder was selected three times for The NonProfit Times’ Power and Influence Top 50, in 2008, 2009 and 2014. Chief operations officer Keith Styles will act as interim president until Sr. Markham takes the helm. Sr. Markham said she will have regular contact with the transition team and has every confidence in Styles. Her first priority — and biggest challenge — will be to get to know the employees and constituents in an organization the size of CCUSA. She said she will concentrate on strategic initiatives, but that “Right now it would be premature to list those” since she has not spoken to any stakeholders about strategy, said Sr. Markham.